Why Should Disability Have to Directly Affect Us for the 'R' Word To Be Offensive? 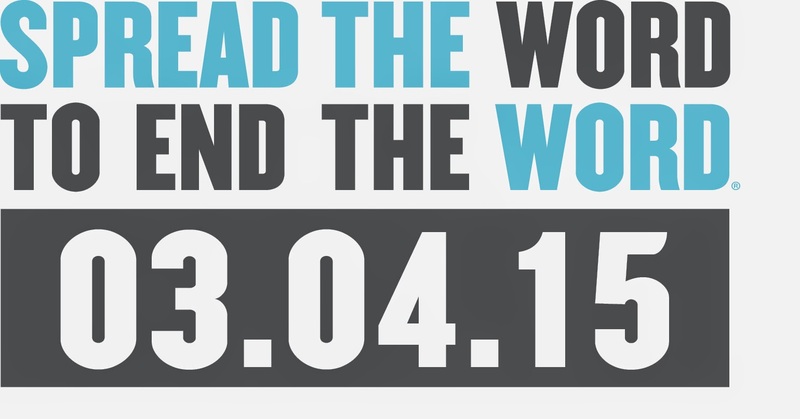 Today is the official day of awareness for the Spread the Word to End the Word campaign. I paused for a moment and let out a not-so-silent Amen! to myself. And then, I paused once more as I thought about my experience and how true that was for me personally. Which then led me to think, “Wow, it’s such a shame that it took disability directly impacting my life before I changed my mindset.” Finally, I realized how true this is for most people. They don’t know what it’s like to see a loved one struggle with the most basic of tasks, to wonder if their child will ever speak, to wonder if their child will ever walk without a limp, to wonder if their child will ever walk at all. They don’t know the fear in our hearts when we send our child to school for the first time and hope his peers will accept him. Will they tease him because he doesn’t walk fast enough? Or because her speech is slow and difficult to understand? Will they point and laugh because he rides the short bus? Will they simply call her a “retard” and walk away? If these thoughts have never crossed your mind, you’ve probably never second-guessed your “right” to say the r-word either, but that still doesn’t make it OK for you to use the word. When we correct you or bring it to your attention, it’s not to embarrass you or chastise you – it’s to educate you because we know you might not have had a clue how that word affects us and our loved ones. We know because we’ve been you. You’re not offended until it affects you. Take the pledge now and Spread the Word to End the Word. This post originally appeared on Journey Full of Life.